Sourcing swimming goggles for one’s own use or perhaps for your kids can often be tricky. Sometimes, it’s not until you start using them that you discover that, maybe, you should have opted for a different design or size. For the run of trips planned for the recent summer holidays, we knew it was time to upgrade Hollie and Peter’s goggles which, frankly, had seen better days. Our numerous trips included a week in Kefalonia which, inevitably, involved plenty of swimming. 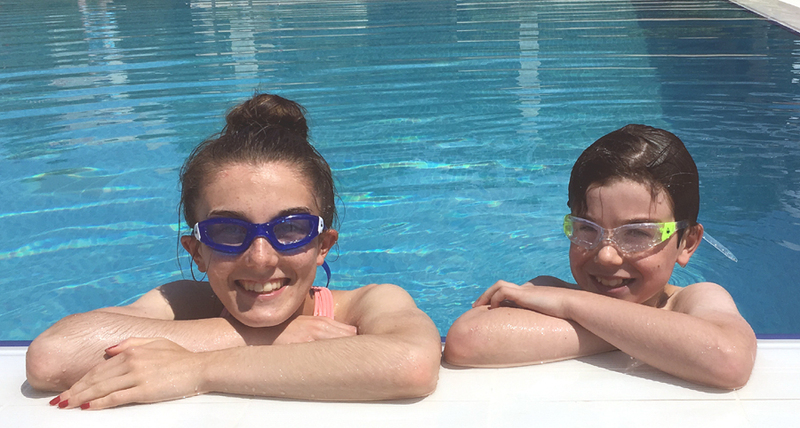 We opted for Aqua Sphere’s Italian-made Kameleon & Kameleon Junior models (RRP £10.99 & £9.99 respectively) and after thoroughly testing them out in hotel swimming pools and the warm waters of the Ionian Sea, we can definitely give them the thumbs up. As the company’s website states: “These mid-range goggles ensure the best panoramic visibility possible, thanks to the patented Aqua Sphere Curved Lens Technology.” Well, I can confirm that both Hollie & Peter commented that visibility had vastly improved compared to their previous glasses. The company also states: “This innovative system, combining a low profile design with an integrated strap and easy adjust head buckle, make the goggles extremely hydrodynamic.” We certainly agree regarding the easy to adjust head buckle. On our previous goggles we had adjustments on each side of the head which, at times, could be quite fiddly. Not so with the Kameleons, they were very easy to adjust. Other plus points included being very comfortable, fitting snugly to the face and not misting up while in use. What’s more, they’re 100% UVA/UVB protected and boast scratch-resistant lenses. We were more than pleased with the performance of the Kameleon goggles and would certainly recommend them. 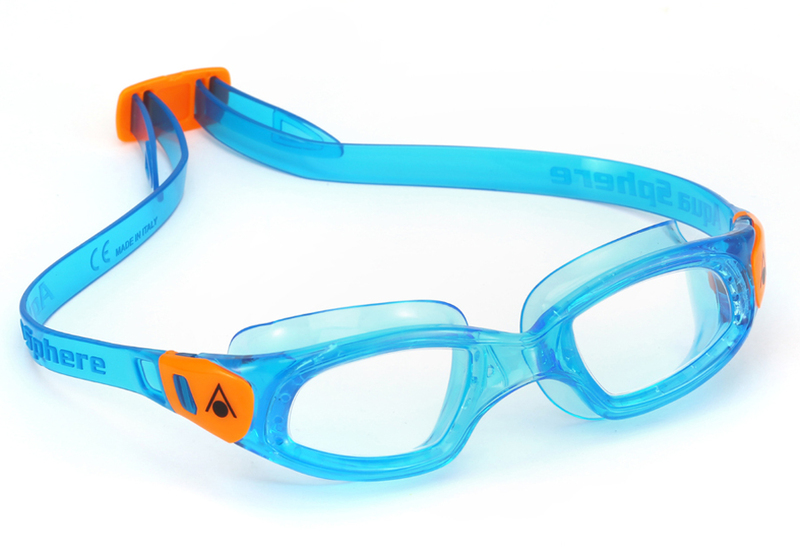 For more info on Aqua Sphere’s Kameleon and Kameleon Junior swimming goggles, plus others in the range, check out the company’s website, www.aquasphereswim.com/uk or @AquaSphereUK for Instagram and Twitter. Goggles can be bought online from, among others, Amazon.